We had a wonderful weekend filled with tons of family time. It was the first weekend this summer that we didn’t have anything planned in advance, so we were able to make our own schedule and take our time at home (and away). One a week Allan watches the boys after he gets home so that I can get out of the house alone for some “me time”. 🙂 On Friday night I wrote a few blog posts, edited some pics and read. 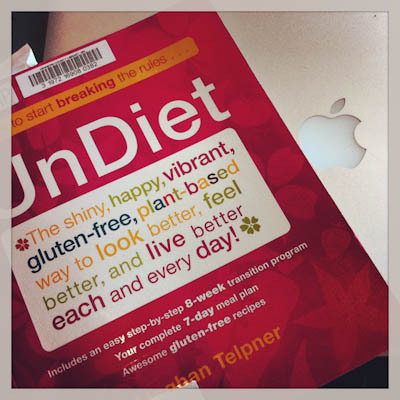 I just started Meghan Telpner’s UnDiet and am in LOVE! 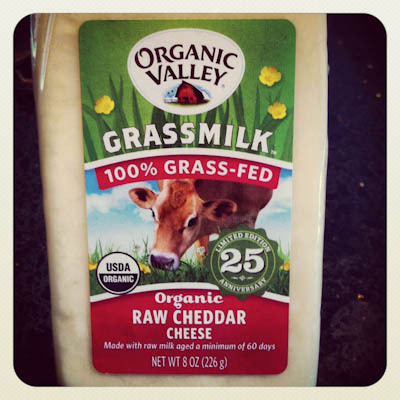 I love reading about food, nutrition and health, so this book is right up my alley. It was *bliss*. 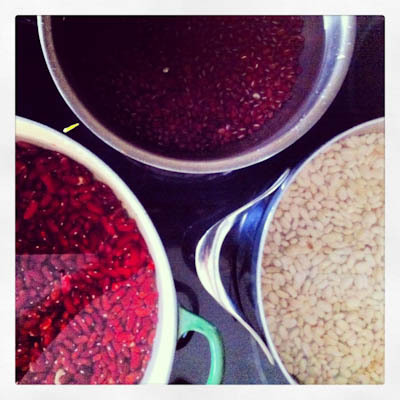 On Saturday I soaked a TON of beans – kidney, great northern and adzuki. Then on Sunday I cooked, bagged and froze them. In total I made 21 cans worth of beans in a little over an hour of my time. Each bag contains 2 cups of beans, which is the equivalent to 1 can of beans. Freshly cooked beans > canned. 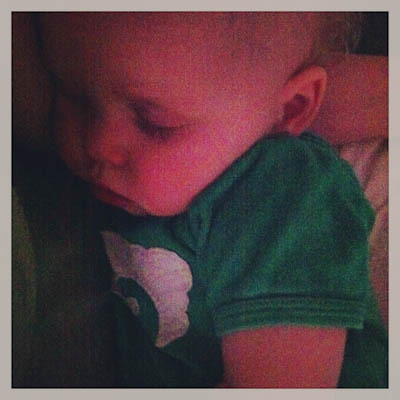 L and I cuddled a lot. He is teething (getting all 4 molars! ), so he has been needing a lot of extra love. 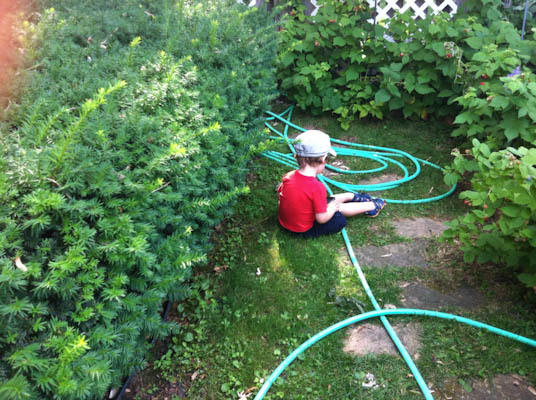 On Saturday we picked raspberries at my in law’s house. 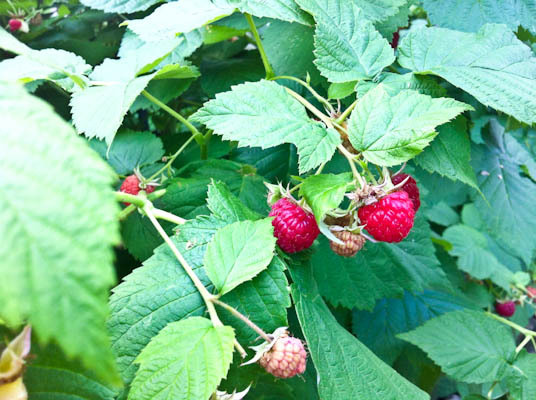 I love freshly picked raspberries. I have an amazing Rhubarb Raspberry pie recipe to share with you full of amazing pics, but sadly I couldn’t find the piece of paper that I wrote the recipe on! I plan to scour my kitchen tonight to try and find it. 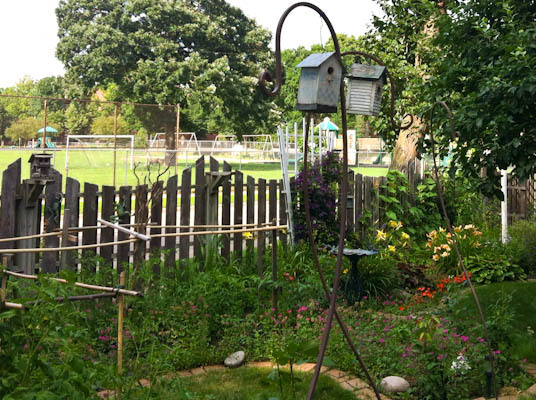 A family of tree bumble bees decided to make this small birdhouse at my in law’s house their new home. 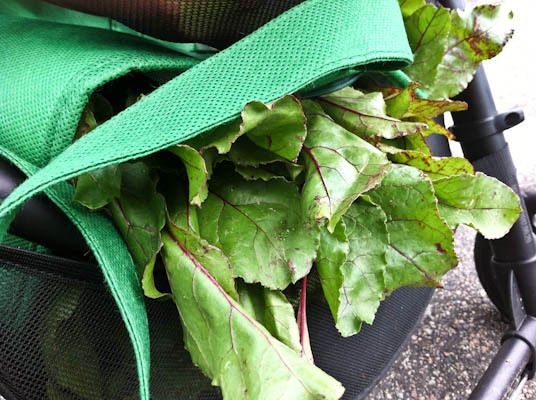 On Sunday we visited the Kingfield Farmer’s Market. 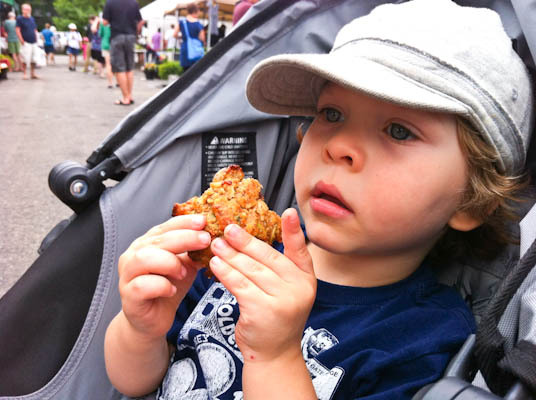 Matthew enjoyed a breakfast cookie (gluten-free, grain-free, dairy-free and refined sugar-free) from Sift – which he adored! I need to make these at home. At the market we picked up 20 lbs of Sockeye Salmon from Wild Run Salmon, two bunches of beets and green beans. Later on L experienced his very first bike ride in the Burley. 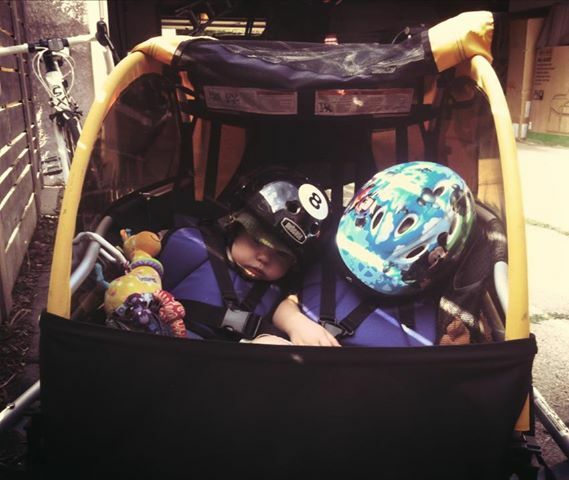 We rode to Lake Calhoun and back and when we arrived home both boys had passed out cuddling.